Kazakhstan’s flag carrier Air Astana is celebrating its 15th anniversary this year and CEO Peter Foster has shared his views on the airline’s exciting development prospects, including the move to a new home hub. In the past, Air Astana focused its attention on developing its hub base at Almaty, the country’s former capital city and where the airline is headquartered. But now there is a dramatic shift in focus. In a response to Russian Aviation Insider’s questions during a press tour, Foster revealed that the airline now contends that the modern capital city of Astana is its gateway to the future. The strategic geographical shift is due in part to the construction of a significant new passenger terminal at Astana International Airport. Its extra 47,000 square meters of floor space will allow the airport to more than double its annual capacity to 8.2 million passengers and serve up to 1,970 passengers per hour during peak periods. Air Astana currently has a 52% share of the gateway’s overall passenger traffic, the airport’s officials confirm. Foster points out however that Almaty, with a population of 1.8 million, remains the country’s biggest city and that the company does not intend to diminish its presence there. In fact, for economic and other reasons, Air Astana will strive to relocate only the very minimum of administrative personnel to Astana. As the CEO observes, it is the uniquely favorable pivotal location of Kazakhstan between Europe and Asia, and between Russia and Southeast Asia, that allows Air Astana to successfully employ a major hub strategy. Foster acknowledges that the Kazakh domestic market on its own is quite modest, with its 18 million population being too small to support such lofty ambitions. In January-March 2017, all Kazakh air carriers combined carried 1.4 million passengers (by comparison, Russian airlines transported 14 times more within the same period). This is why Air Astana is focusing instead on the development of transit flows. Previously, foreign transit passengers comprised 9% of the airline’s annual traffic, at 310,000, but in the first four months of 2017 this figure grew by 68% year-on-year, reaching 120,000 passengers. Some 20% of the carrier’s foreign passenger business is now sixth-freedom traffic transiting Kazakhstan, with the top 10 most popular transit destinations being Bangkok-St. Petersburg, Istanbul-Urumqi, Bangkok-Moscow, Dubai-Urumqi, Delhi-Kyiv, Kyiv-Tashkent, Bishkek-Seoul, Bishkek-Kyiv, Istanbul-Tashkent, and Delhi-Moscow. Not surprisingly, the Kazakh flag carrier is now looking to ramp up its overall traffic to 9 million passengers within the next 10 years – an ambitious plan, considering its 2016 total of 3.74 million was 3% down on 2015. However, the airline’s rejuvenated transit business focus will hopefully comprise a third of the total flow, about 3-4 million passengers. It will be divided between Astana and Almaty. With its mind on new routes, new aircraft, and fresh opportunities, on July 2 Air Astana launched three weekly frequencies within its summer schedule from Astana to Delhi, serving the Indian destination with Airbus A320s and Embraer E190s. 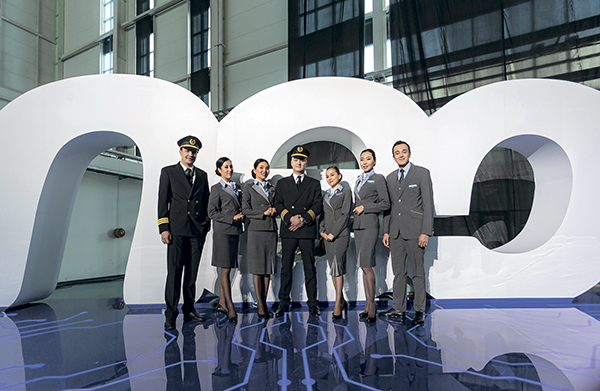 The carrier points out that passengers flying from Delhi are offered convenient connection flights from Astana to Moscow, St. Petersburg, Istanbul, and other cities. 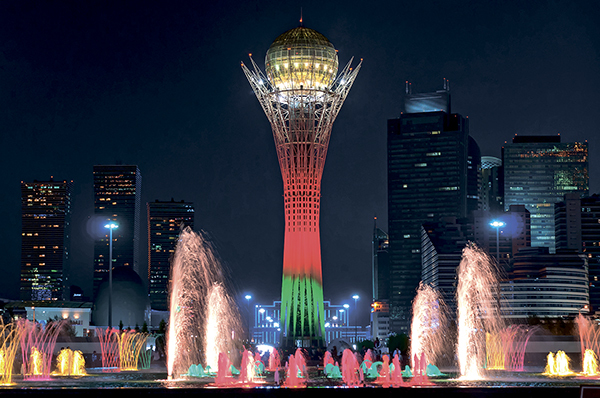 On the same day, the airline resumed flights from Astana to Kyiv, with five weekly frequencies, offering layovers to Bangkok, Seoul, Beijing, Urumqi, Omsk, Novosibirsk, Yekaterinburg, as well as to multiple destinations within Kazakhstan. Foster reveals that Russia remains the second largest market for the carrier outside Kazakhstan. It already serves Moscow, St. Petersburg, Kazan, Novosibirsk, Yekaterinburg, and Omsk. At the moment, bilateral Russian-Kazakh agreements limit the number of designated carriers and frequencies the countries may have, but as soon as these agreements are revised to increase the possibilities the airline will eagerly expand its Russian market. Among new destinations, Air Astana will prioritize Sochi and will also be looking to resume services to Samara. As part of its efforts to attract more transit passengers, Air Astana introduced its Stopover Holidays service in 2016, offering passengers a hotel room in a three- or four-star hotel in Astana or Almaty for just one dollar, including breakfast and transfers to the airport. Tourists can pick from Holiday Inn, Kazakhstan, and Kazzhol in Almaty and from Ibis, Park Inn, and Ramada Plaza in Astana. Passengers are also welcome to extend their visit for an extra $65 per day, which includes a free sightseeing tour of Almaty. The Stopover Holidays service is available for Air Astana’s transit passengers (except for unaccompanied minors under 15) traveling internationally or within Kazakhstan via Astana or Almaty with a minimum stopover of 10 hours. To qualify for this service, a passenger should accomplish at least one flight with the carrier (to or from Astana or Almaty). Air Astana adopted the best stopover program practices from its partners in Southeast Asia: Cathay Pacific and Thai Airways. In 2016, the Stopover Holidays program attracted 4,000 customers. The carrier’s fleet now comprises 31 aircraft, with nine Embraer E190s, five Boeing 757-200s, three 767-300ERs, eight Airbus A320s, four A321s, one A319, and one A320neo. The operator has firm orders for 14 additional aircraft, including 11 А320neo family narrowbodies (thee А320neos, four А321neos, and four А321neo LRs), as well as for three Boeing 787-8s. The Dreamliners will be utilized on flights to Canada, the US, and Australia. Officials confirm that the airline will receive two of its new А321neos during 2017. He also points out that the carrier is open to the consideration of including Russian-made Sukhoi Superjet 100 regional jetliners in its future procurement plans, even though the type’s range does not completely meet its needs. Air Astana is also following the progress of another Russian program, the Irkut MC-21. “But then again, it is not desirable to have too many types in one’s fleet,” Foster admits. 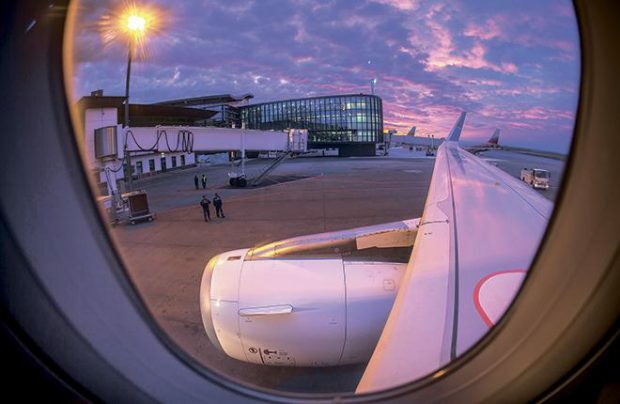 The gradual fleet expansion process and the climatic conditions in the Kazakh capital have both contributed to the company’s decision regarding the operation of its own hangar at Astana airport. Construction of a new maintenance base there will be completed shortly; the facility is expected to become fully operational by the beginning of the winter season. The new hangar is designed to accommodate A320 family narrowbodies, as well as the larger twin-aisle Boeing 767s and 787s. The engineering base will mostly be tasked with providing light maintenance services (predominantly A-checks) on the carrier’s own fleet, but in the future Air Astana’s engineers will also be able to service third-party aircraft. For now, with the Kazakh carrier renting maintenance facilities, all C-checks on its А319/А320/А321s, 757s, and 767s are being conducted by Chinese MRO provider HAECO Xiamen, while the Embraer E190s are serviced by OGMA of Portugal. At the beginning of the conversation with Russian Aviation Insider, Foster stressed that Air Astana is a fully commercial, non-subsidized enterprise. The carrier receives no state funding or preferences regarding fuel procurement or favorable airport fees, for example – either directly from the government or from its shareholders. “We are absolutely positive that this is the best possible practice,” Foster explains. “This motivates us to focus on our customers, and on the idea that our business should be profitable and efficient, while the operations remain reliable and, even more importantly, safe. This strategy has already proven successful throughout all the years we have been making profits. In Q3 2018 or so, Air Astana is planning to float 50% of its shares (the carrier is currently co-owned by the national welfare fund Samruk-Kazyna and the UK’s BAE Systems). As Foster explains, there will be two listings: on the Kazakhstan Stock Exchange and abroad. It is important though that when state-owned Samruk-Kazyna, which currently controls 51% of Air Astana, sells half of its shares, the new buyers should be Kazakh citizens so that the national share of the airline remains intact. Any other outcome would void bilateral air cooperation agreements.